It was time for another oil change so I used the opportunity to install a Trabold bypass oil filter and changed the oil to full synthetic Amsoil 15W40. 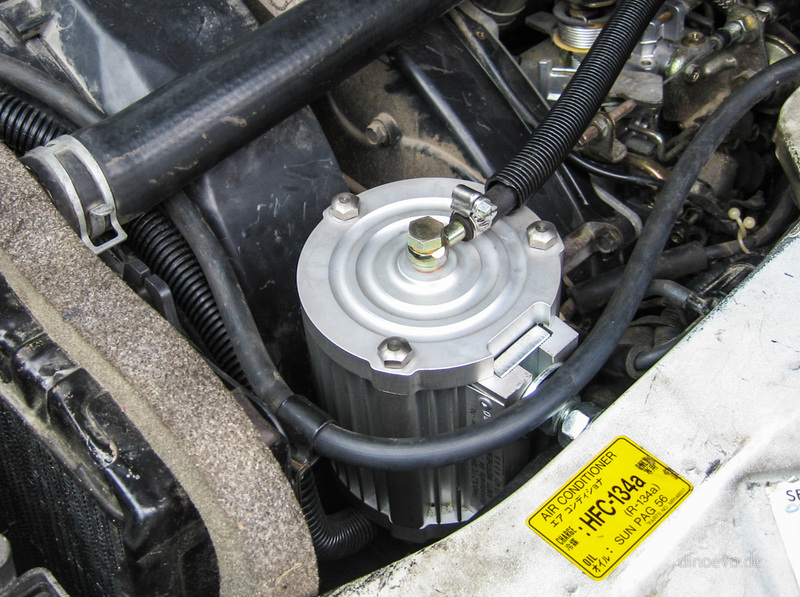 The idea is not to change the oil and the regular oil filter for the next few years. 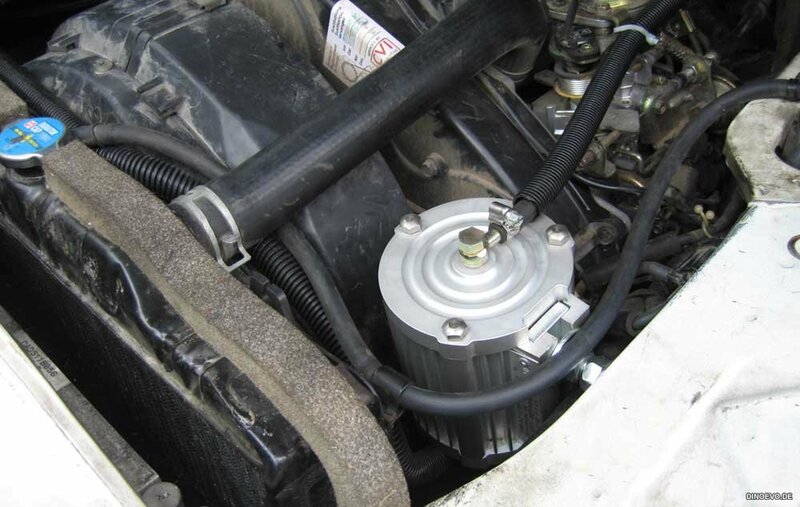 Only the bypass filter needs to be changed every 15 – 20.000km and you should keep an eye on the oil level. Sounds pretty unreal, but do your research and you will see there are lots of real life proofs out there including the over 20 years successful history of the Trabold GmbH in Germany. Many customers (most of the time big trucks and ships) run this filters for hundred of thousands kilometres without any problems. Of course I’m going to send the oil for analysis on a regular basis and make sure it’s still good, but I’m pretty confident the oil is going to last for a long time. The installation is straight forward. All needed hardware is included in the kid. 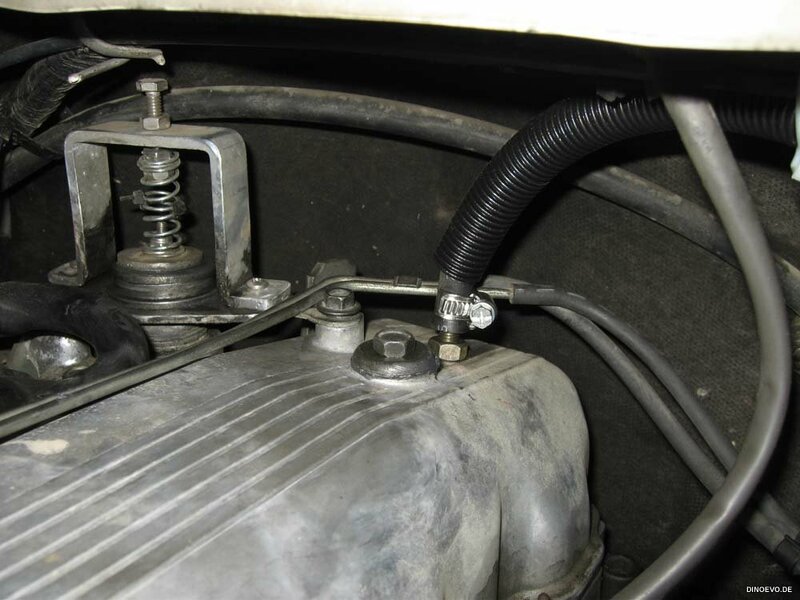 The filter picks up oil from the oil pressure switch and returns it right into the valve cover. If you are interested in one of this filters as well, contact EuVaTec near Seattle, WA. The owners are very helpful and I found they offer the best price too. 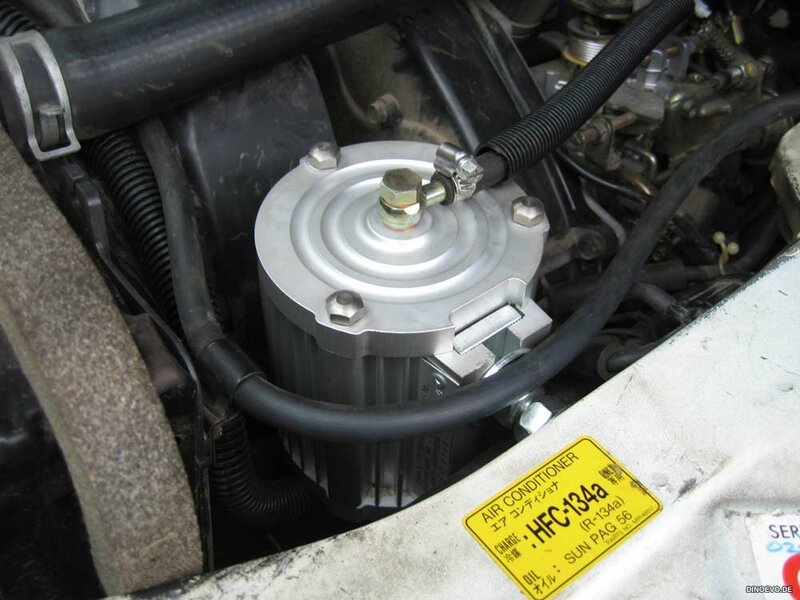 4 Responses to "Bypass Oil Filter"
Hi there- How much for these units? Difficult to install? Looks easy enough, as well how has the oil test results? The unit including hardware and filter elements is around $400. It is not difficult to install at all and VERY well built. So far I haven’t done an oil test yet as I don’t drive around that much. How many km’s have you done with this filter so far? Did you notice any improvements when it comes to the oil? I have done about 60k km with this filter and I didn’t notice any reductions in terms of fuel consumption. There are no improvements when it comes to the oil quality. The only positive aspect of the filter is a longer lifespan of the oil, but by far not as much as you can read on the website.